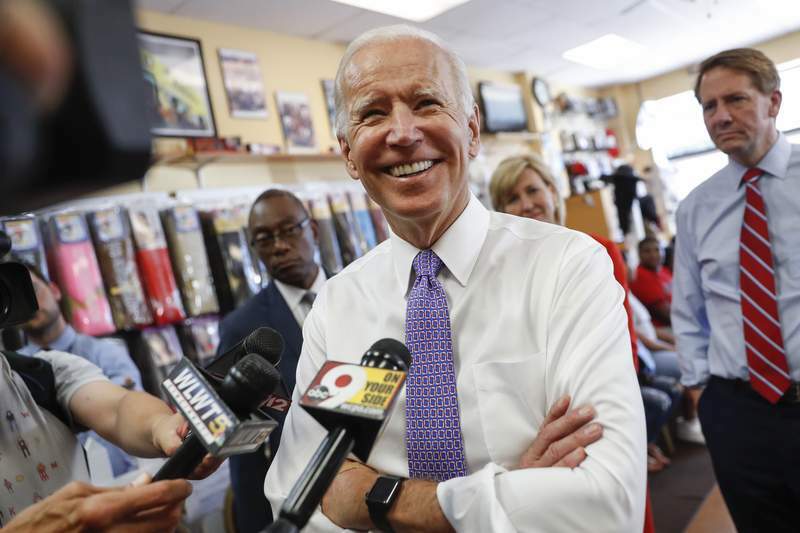 DES MOINES, Iowa – Democrat Joe Biden is hearing from plenty of supporters who would like to see the former vice president make another run for the White House. On a recent flight from Washington to New York, a string of passengers stopped at his seat to deliver some version of the same message: Run, Joe, run. "We're with you." Biden himself is more conflicted – but he is listening keenly to the supporters pushing him to run for the White House in 2020. Biden is convinced he can beat President Donald Trump, friends and advisers say. People who have spoken to Biden say he has given himself until January to deliberate and size up potential competition for the Democratic nomination. Biden ran for the party nomination in 1988 and again in 2008.